For dog lovers like myself, it can sometimes feel like you’re driven to adopt every dog you see. This, however, isn’t realistic no matter how adorable they may be. 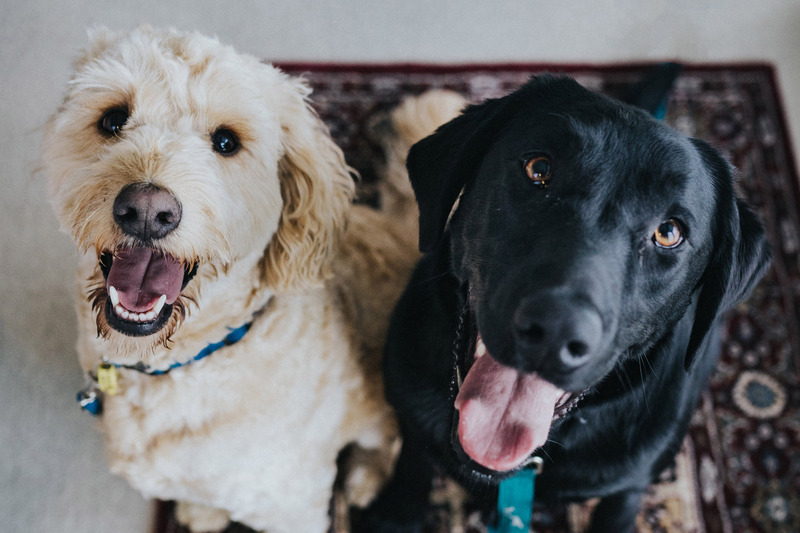 While you can’t adopt them all, adopting a second dog is common, but still comes with its fair share of challenges that you don’t encounter when you only have one dog in your home. Here are a few key things you should know before adopting a second dog. Depending on the breed, you may be in for a more significant amount of pet hair once you bring home your second dog. While some dogs don’t shed at all, some breeds shed enough to warrant daily brushing and shed-control techniques. If you have wood floors, the pet hair is going to be accentuated. If you don’t have one already, you may want to consider investing in a good pet hair vacuum that works well on hardwood floors. These types of vacuums can make the process of keeping your home clean much easier (If you want to learn more about them, check them out here). If you have an older dog at home, you should be considerate to the fact that your senior dog might not enjoy a puppy running around. Make sure to match the energy levels of the two dogs you intend on having, this will help ensure they get along and will both be happy. It is also worth noting that you should try to match the size of dogs as well. While some chihuahuas get along with Great Danes, it’s more common that they don’t. You want both dogs to be comfortable, and the easiest way to be sure of that is to adopt a dog that is a similar size and age to the dog you already have. Before you bring a new dog into your home, make sure the environment is controlled and as least stressful as possible. You want the first introduction to be a positive experience, so be sure there is room for the dogs to greet each other, there aren’t any big distractions like loud noises or crowds that may give either dog anxiety, and go into the situation with a positive attitude. If you’re tense, your dogs will pick up on that. If your first dog isn’t well trained, it is a bad idea to bring a second dog home. Your new dog may feed off of the actions of your current dog, so make sure the dog you have now is capable of setting a good example. If your dog has any issues with aggression or other behavioral concerns, address that before adopting another dog. You also want to make sure your current dog is 1000000% house trained. If you have one dog that poos or pees inside, the scent may encourage the other dog to do the same. This can lead to a cycle of house training issues down the road. The biggest thing to consider when thinking about adopting a second dog is whether or not you’re truly ready to commit. The last thing you want is to dive into the situation unprepared and end up having to rehome one of your animals. Be honest with yourself about your ability to care for multiple animals, and make sure you’re in a good spot mentally, physically, and financially to be able to handle the responsibility that comes along with owning multiple pets. A big thank you to Julie at modernliving101.com for writing this great article for Shutter Hound!